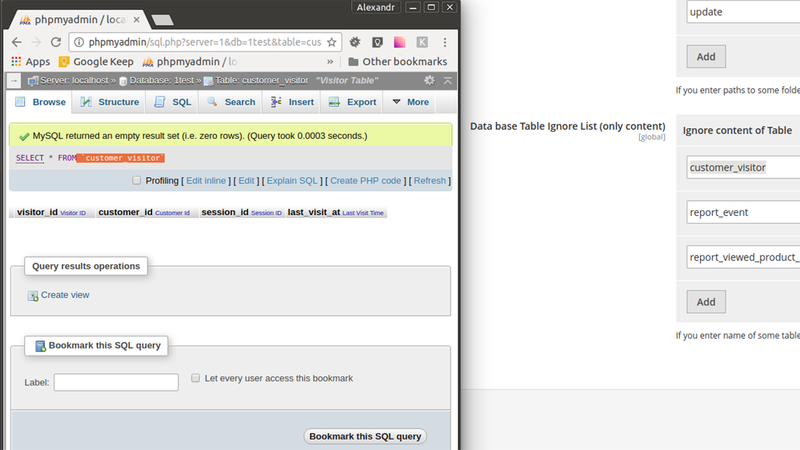 Everyone knows the absolute necessity of regular backups. Everyone also knows the horror of needing a backup and not having it. 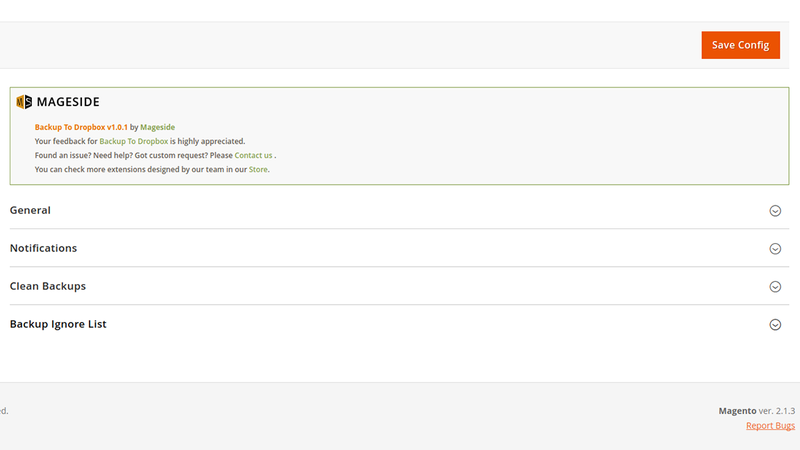 Regular backups maintain your store information during a disaster and keep you from missing sales in a long recovery. A solid, recent backup that is available even if your data center is inaccessible ensures quick recovery and minimal losses. 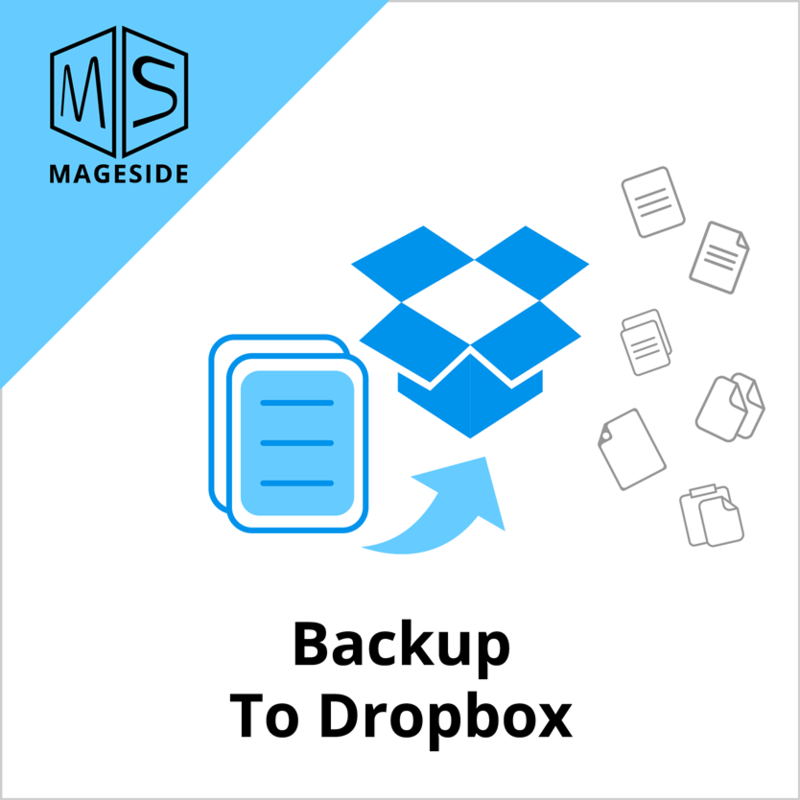 The Mageside Backup to Dropbox module is an excellent solution for keeping your store information safe and available at all times. Most websites are hosted where there are on server or in-datacenter automated backups, but these are only safe from issues that do not affect the server or the data center. If there is catastrophic hard-drive loss or data center network loss, there is not only no way to access the site, there is also no way to recover the backup. 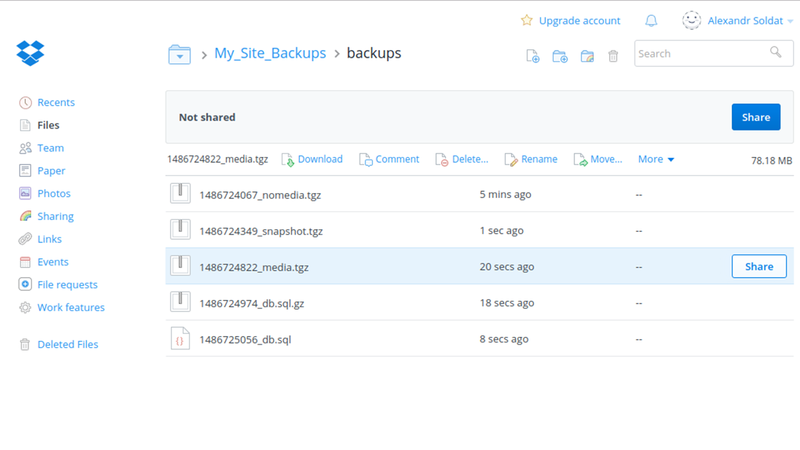 By installing the Backup to Dropbox extension, you can keep a backup in your Dropbox which is copied to multiple datacenters backup is always accessible. 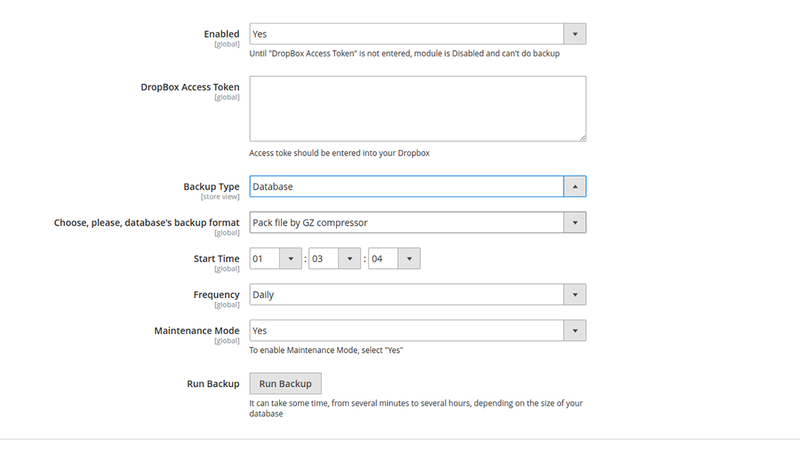 Backup to Dropbox allows you to easily schedule the time of day and how often to create backups. 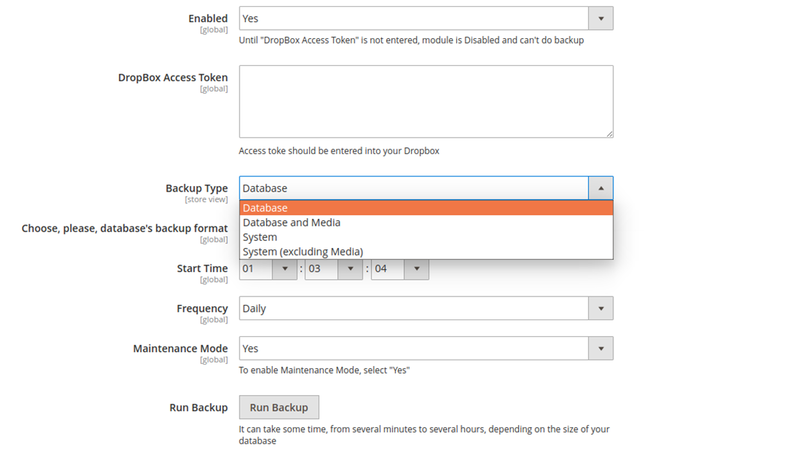 The time of day is set to any Magento Cron process, and the frequency can be set to daily, weekly, monthly or as a one-time backup. 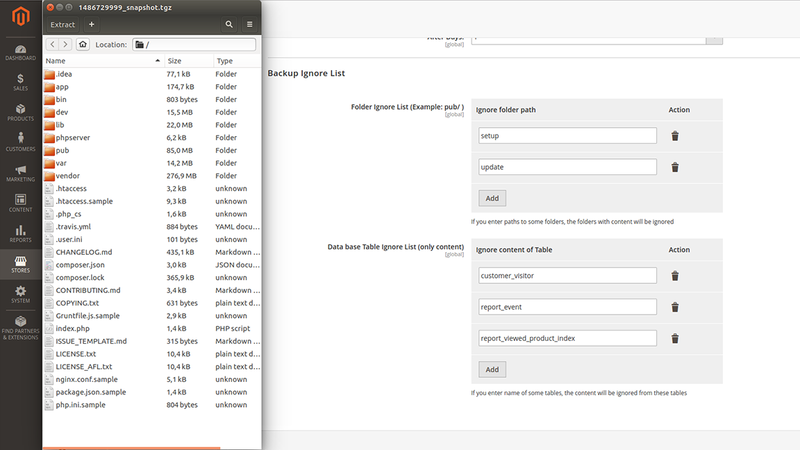 After you specify all necessary settings the extension will automatically start creating backups as configured. 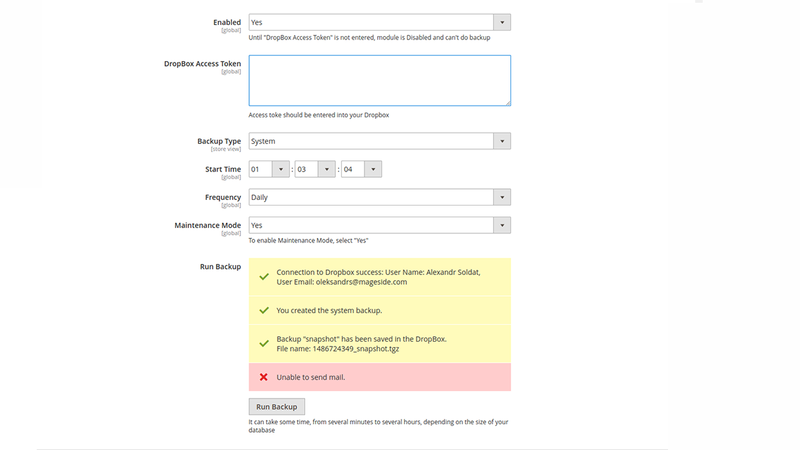 The Backup to Dropbox module allows you to receive an e-mail notification when configuration changes are made. 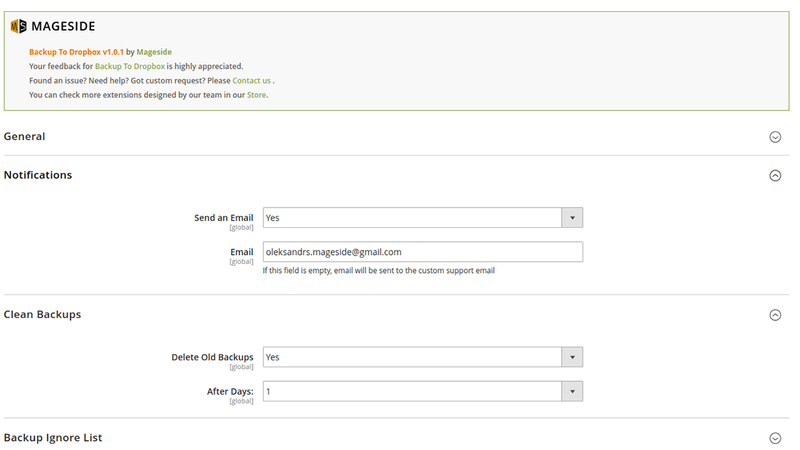 It can also send you an email each time a backup is started, and each time a backup is finished and stored in Dropbox.